Sakaki Shuhei (Matsuda Ryo), Shinozuka Daiki (Miyazaki Shunto) and Fujikawa Reo (Anzai Shintaro) promised each other as kids that they would enter the elite private school Ryuuhou High School, so they could join their renowned swimming club. But not being able to live up to the school’s level, Shuhei isn’t offered a scholarship. Not wanting to abandon his friend Daiki joins Higashigaoka High School with Shuhei. Furious at his friends’ lack of drive, Reo decides to leave both behind and joins Ryuuhou. Making the trio become rivals. 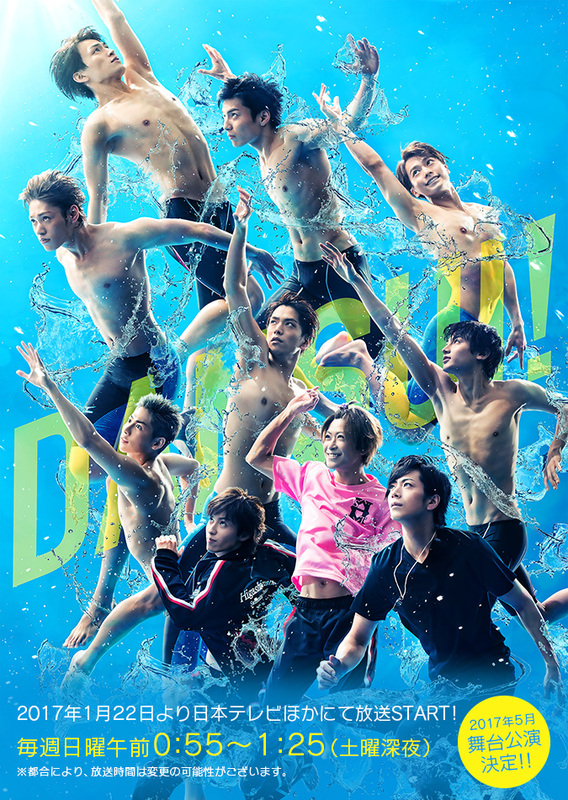 I generally love Japanese sport dramas since they usually are high spirited, emotional and optimistic. It brings out your fighting spirit and makes you happy – most of the time. That is why I wanted to watch this drama even before it came out, but unfortunately it missed its mark. I know it is a webcomic, but they should have at least tried to add a little bit more of story to it. I mean the story doesn’t really progress, nor do the characters. And the ending was very vague. You would at least want an ending if not progression in storyline. I felt they tried too hard to do the typical “I-am-my-own-master” theme, but there were just too many unnecessary ‘speeches’ and yelling – as in trying to prove a point or something like that. I don’t know, I really was disappointed. BUT! The quality of the drama is good. I mean I was surprised that they had all the facilities and extras, which made it watchable. Also, some of the acting was okay, considering they all are unknown names. All in all, a watchable drama with a weak script.